Creating a one-stop-shop for details related to an automobile’s upkeep, Complete Auto Reports levels the playing field in an industry in need of a time-saving hub. Linden, NJ -- 07/27/2018 --Transforming business as usual in the auto repair industry, a new shop management software platform makes its debut. As an integrated digital space for auto shops and customers to stay in the know, the newly-launched Complete Auto Reports (CAR) helps keep comprehensive tabs on vehicles. Keeping accessible information paramount, the auto repair software turns the tide toward honesty, accuracy, and a succinct savings in time. Storing all car-related information for up to three vehicles free, consumers can organize everything from insurance and registration documents complete with expiration dates and reminders to uploaded DIY invoices for parts. They can also upload their invoice history from any repair facility in the world, save all warranty information, and set preferred providers for service and towing all from their phone. CAR users can also request new service appointments with any auto shop they prefer. However, if they use a partnering CAR facility, the appointment goes right to the shop's calendar via the system. Ricardo Da Cruz, Founder of Complete Auto Reports, said of the fleet management software, "I own a shop myself and as an honest business owner, I saw a need in the industry for clarity. 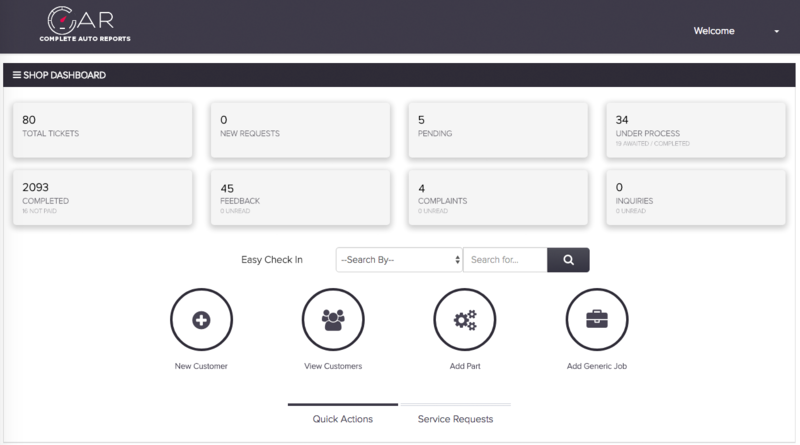 Complete Auto Reports enables transparency between businesses and their customers, which builds a level of trust that is not achieved otherwise. Instead of having the focus on sales, we give them advice and that completely changes their perception of us. As a result, we sell more than we ever could have imagined. This process has completely transformed the relationships we have with our customers." Founded in 2014, Complete Auto Reports is a vehicle maintenance software platform that provides an automated tracking system. The platform bridges the gap between auto repair facilities and their customers. With their tools they enable shops to start advising and stop selling.